Order Desk can import your Squarespace orders automatically. 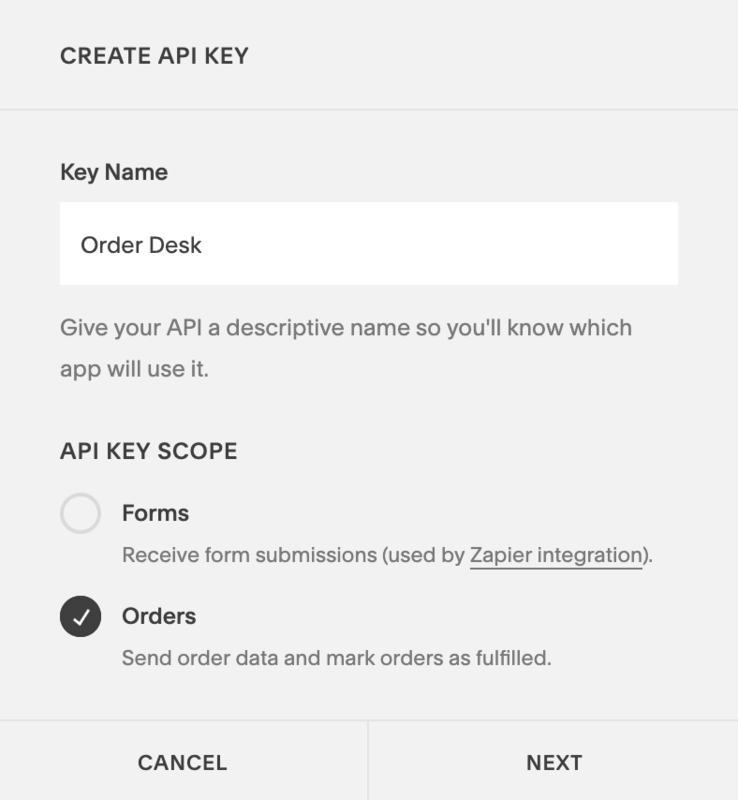 Please note that you must be on the Commerce Advanced plan at Squarespace to be able to use their API and connect to Order Desk. This guide goes over how to set up and use the Squarespace integration in Order Desk. 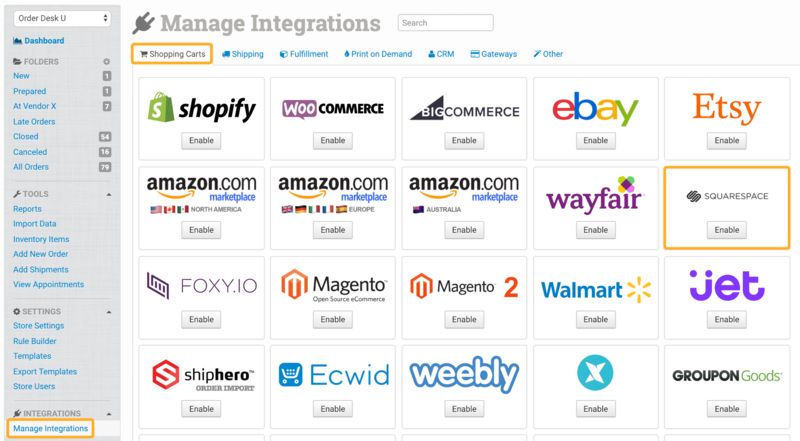 To begin, click on Manage Integrations from the left sidebar in Order Desk. Under the Shopping Carts tab, find and click to enable Squarespace. On the next page, you'll need to enter your Squarespace API key. To get this, log into your Squarespace site. 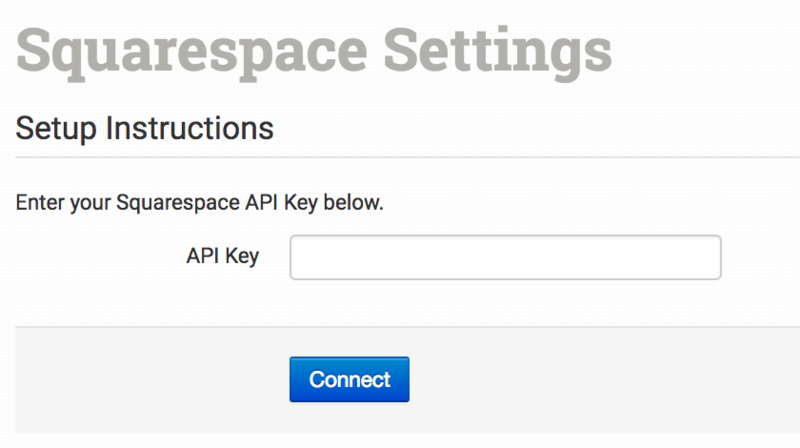 From the Home Menu, click on Settings > Advanced > Squarespace API Keys and click Create Key. Add Order Desk as the Key Name, select Orders and click Next. Copy the API Key that is created. 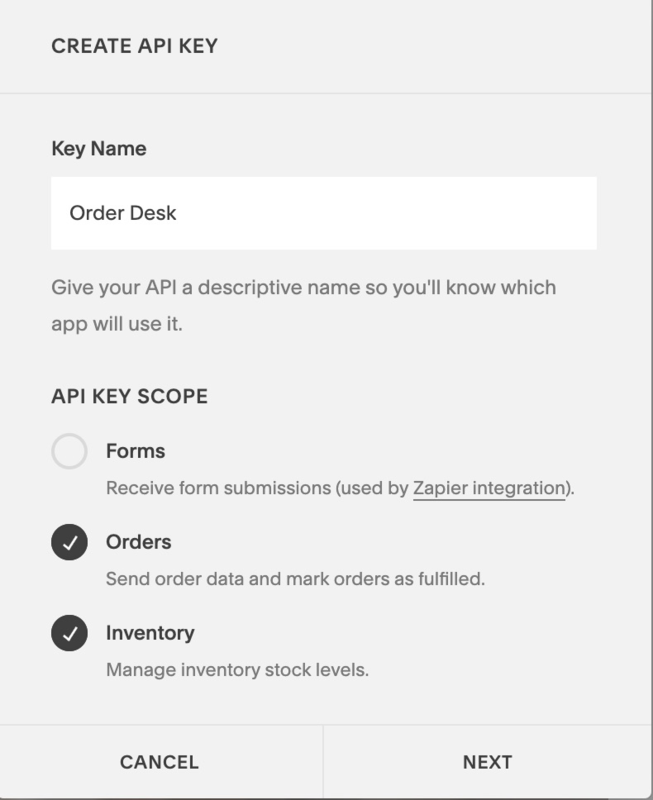 Bring it back into your Order Desk store and add it to the API Key field then click to connect the integration. Select how often you want Order Desk to look for and download new orders from Squarespace. Select the status of the orders you want Order Desk to download from Squarespace. Select the folder where newly imported orders from Squarespace should be placed. If the Sync Tracking Numbers setting is enabled, Order Desk will send the shipment information back to Squarespace automatically as shipments are added to the orders in Order Desk. Enable the this setting if you would like Order Desk to tell Squarespace to email your customers when fulfillment information is passed back. If disabled, Squarespace will not email your customers as orders are fulfilled. If you prefer, you can notify your customers about their tracking details with an email from Order Desk instead. If you need to add a prefix to your orders as they are downloaded to Order Desk, set that here. 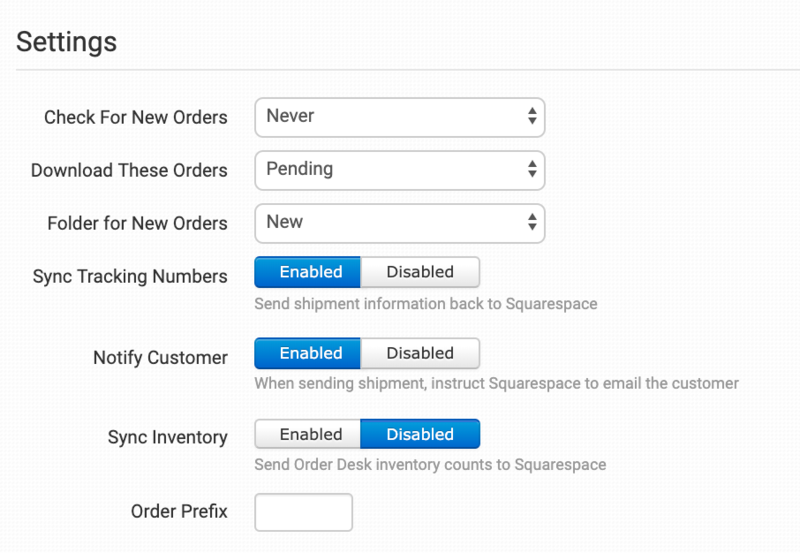 If you want Order Desk to sync your inventory availability back to Squarespace, enable this setting. As inventory counts are updated here, Order Desk will send those numbers to Squarespace to update your product availability there. This is currently a beta feature at Squarespace. To be able to use it, you must contact Order Desk support and we will contact Squarespace on your behalf to have it enabled on your account. 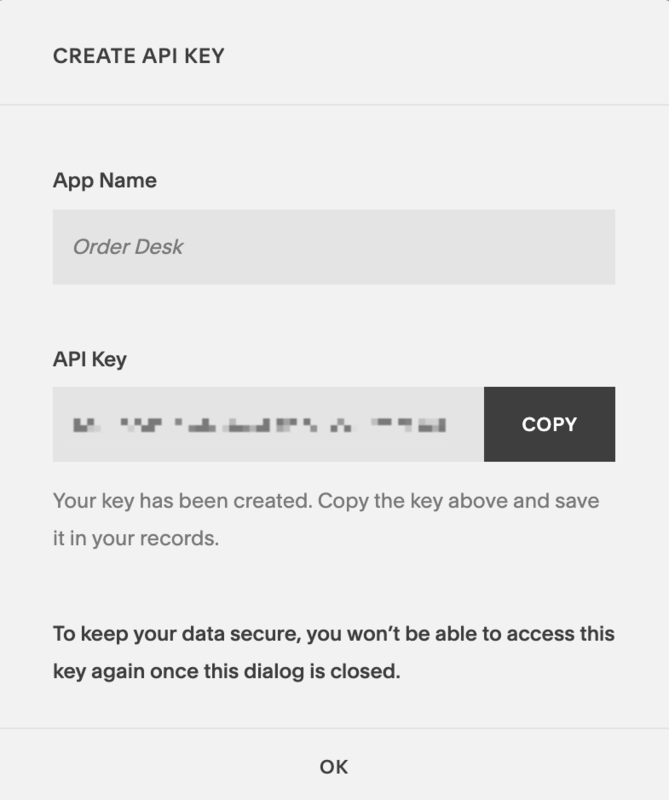 Once enabled, follow the steps in the Setup section to generate a new API Key at Squarespace for Order Desk, but make sure to select Orders and Inventory. You can manually import your orders or inventory items from Squarespace at any time. You'll see the option to do so on the right side of the Squarespace Integration settings page. 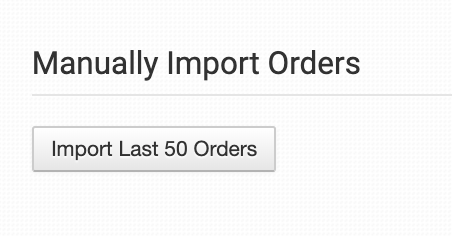 If you want to import orders manually instead of automatically you can do so by clicking on the Import Last 50 Orders button. If you need to import historical orders from farther back than the integration brings in, please contact Order Desk support. If you need to import your inventory items from Squarespace, click the Import Inventory Items Now button.